From the time I was small, I thought everyone made up different endings to television shows and movies. Instead of counting sheep when I had difficulty falling asleep, I made up stories. I grew up in a Christian home. I thanked God for having loving parents, for good health and a quick mind but I never considered that my storytelling ability was another gift from God. Even though I had the desire to write fiction for as far back as I could remember, I didn’t start seriously pursuing publication until I was through college, ensconced in a career and married. Our daughter had grown older and I decided to once again try my hand at writing a novel. Even though the first few books I penned garnered some interest, there was something missing. Eventually I identified what it was—the characters were cardboard and flat--two dimensional, not three. It wasn’t until I added a faith element that the characters came alive. The first inspirational romance I wrote, three years after I’d started writing with the goal of publication, won a contest. The first prize was a complete critique by an editor. The editor, Patience Bloom, not only read and critiqued the manuscript, she bought it! The working title of that book was “Faith on a Harley.” It was published by Harlequin’s Steeple Hill imprint in 2000 as “Unfogettable Faith.” I would go on to write 11 more inspirational romances before shifting genres. 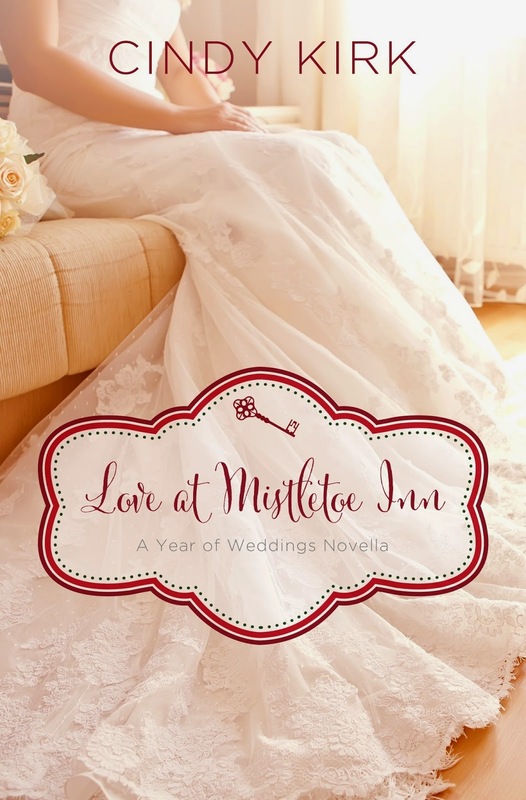 Now, after forty books sold, I have returned to my inspirational roots with “Love at Mistletoe Inn” a Christian novella that is out this month. I loved writing this book and I hope you check it out! But whether I’m writing inspirational or secular romance, I am now fully aware that my storytelling ability is a gift from God and not a day goes by that I don’t give Him thanks and praise for such a blessing. To be entered into a drawing to win a copy of “Baby on His Doorstep,” (a Christian e-novella I wrote available only in Kindle and set in the same town as Love at Mistletoe Inn with common characters) all you need to do is become a follower of this site or sign up to receive post by email, and comment on the post telling what gift you’ve received from God. That gift may include being a good listener, being patient etc. Three winners will be drawn from those who comment!! From the time she was a little girl, Cindy Kirk thought everyone made up different endings to books, movies and television shows. Instead of counting sheep at night, she made up stories. She’s now had over forty novels published. 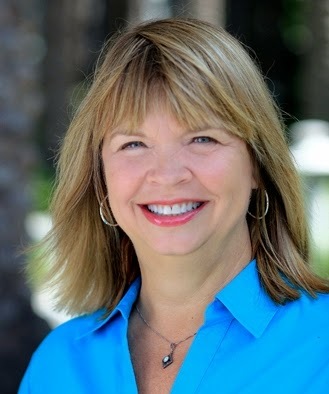 She enjoys writing emotionally satisfying stories with a little faith and humor tossed in. 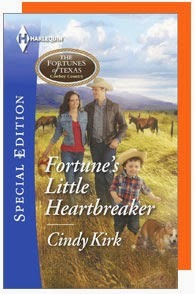 Cindy Kirk's ebook: "Baby on His Doorstep"
Thank you, Cindy, for Joining us This Weekend! 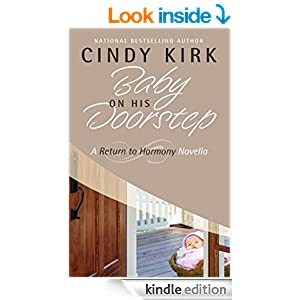 Don't forget: To be entered into a drawing to win a copy of “Baby on His Doorstep,” (a Christian e-novella Cindy wrote available only in Kindle and set in the same town as Love at Mistletoe Inn with common characters) all you need to do is become a follower of this site or sign up to receive post by email and comment on the post telling what gift you’ve received from God. That gift may include being a good listener, being patient etc. Three winners will be drawn from those who comment!! We love chatting with you. I think I have been given the gift of patience and I also want to become a Barnabas--be an Encourager to others. Cindy, I am so glad that you returned to writing inspirational fiction. Connie....I think the gift of patience is a wonderful gift. I love that you want to be an encourager to others. I consider myself to be an optomistic person and also try to be encouraging. It was fun to write this book and return to my "roots." Thanks for stopping by! Cindy so very glad you are staying the course and using your God given talent. look forward to reading many more of your books. Hope you have a wonderful Christmas! pamrp52@yahoo.com. Can we follow you on facebook? Welcome to my blog, I'm so glad you stopped by and chatted with Cindy and me. What an encouragement to Cindy to know you've already read some of her books! To enter the drawing you need to either sign up for email of the latest post or become a follower of this site. See the right column to sign up. I'd love to also have you join us on FB for the latest! Oh, and I see you did sign up for the email. You are definitely eligible for the drawing. Thank you. Welcome to my blog. I'm so glad you stopped by. Christian novels are wonderful reads, I agree. To be eligible for the drawing, you need to either follow this blog or sign up for the email posts. Look in the right column to see how. If you have questions, I am more than happy to help. So nice to hear from you!! Merry Christmas....and I'd love to have you follow me on Facebook. I have two Facebook accounts, one is my author one and the other is a personal page. LIKE me on one and send me a friend request on the other! So nice to see you here!! Karen, Glad you could make it this weekend. I had a special plate of virtual Christmas cookies waiting to set out when you came. Hope you are having a great Merry Christmas season. Terry, So nice to meet you here! One of the bonuses of visiting different places is meeting new people!